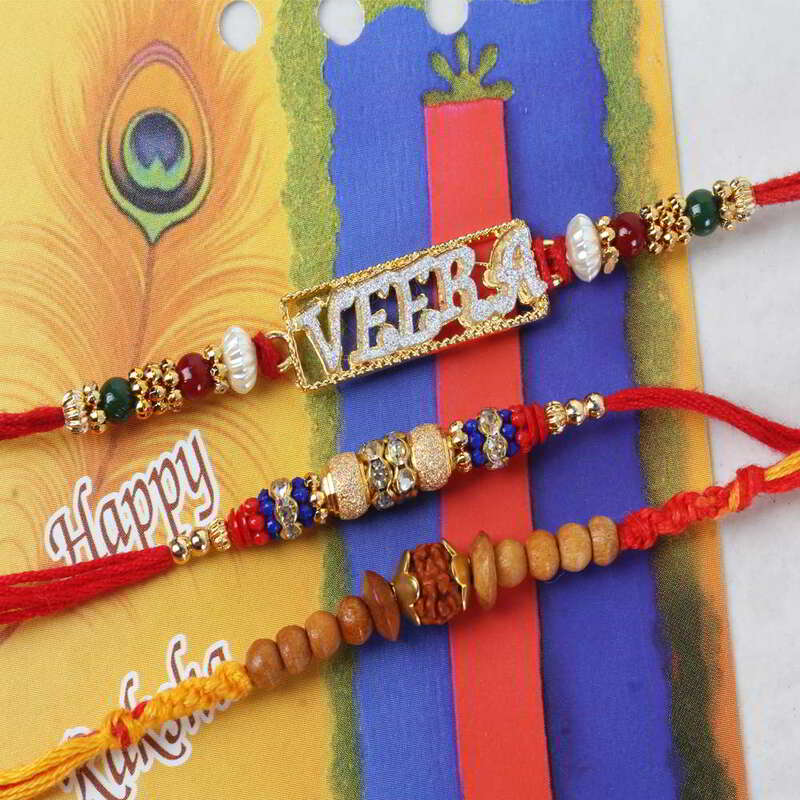 Product Consists: Trio Rakhi Set for Brothers nicely tied on a Designer Card. 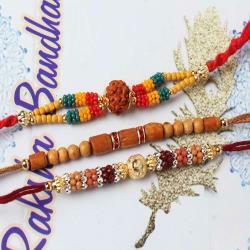 Make the celebration of Raksha Bandhan special for your loved ones with this pack of three beautiful designer Rakhis set. 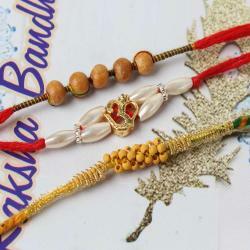 Each one of the Rakhi is different from one another in looks and style. Colorful beads, Veera dial, Rudraksh all threaded in a matching string which looks stunning. 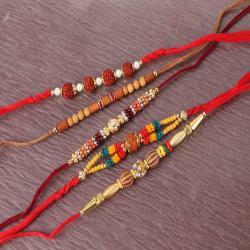 Tying these wonderful Rakhis on the day will make the celebration go to the next level. It will strengthen the bond between the siblings and will make them closer by heart. This festival brings everyone together and celebrates the moment of togetherness. 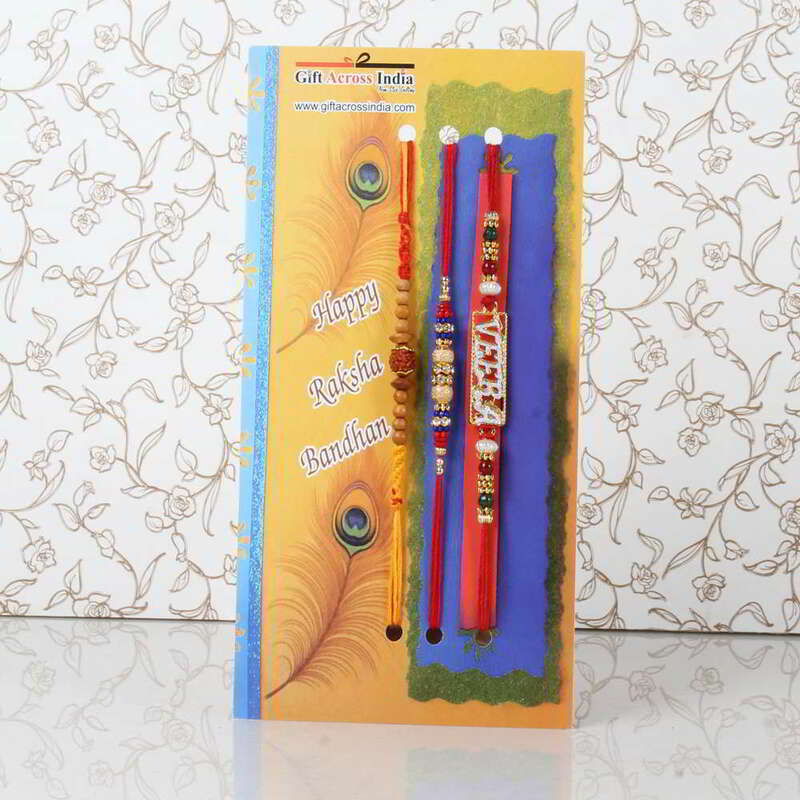 Send your love with this special Trio Rakhi set to enjoy the moment. 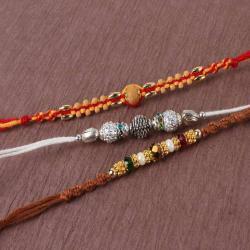 Product Consists: Trio Rakhi Set for Brothers nicely tied on a Designer Card.